We are excited to welcome Scott & Whitney Carlson of He and She Eat Clean who are here to share something super exciting!! With summer coming up, we can all stand to have a few bucks in the bank – you know, for those summer activities and even vacations? You are going to love this 12-week money saving challenge + tips to save money! Take it away, Scott & Whitney! Have you started thinking about summer vacations or even summer stay-cations? Warm weather and longer days seem far away but they will be here before you know it! 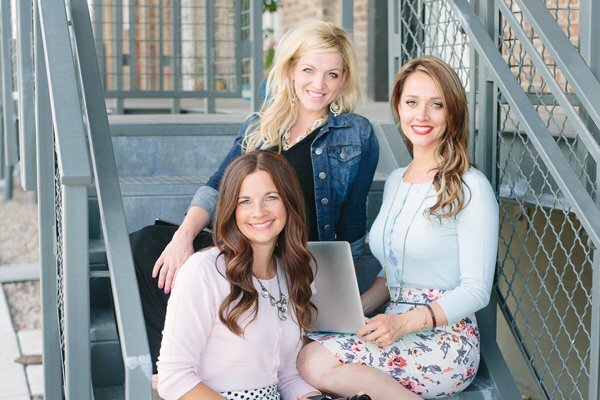 While we’re known mainly for our healthy recipes and proven workout plans, we also share a strong passion for helping others achieve financial independence, one step at a time. Living a healthy lifestyle doesn’t just stop at exercising and eating healthy, a sound financial plan will give you an extra boost of confidence to meet other goals in your life. We’ve done money challenges before with great success but this time we wanted to do something a little different. This is a short term challenge – it’s only 12 weeks so it will take some buckling down on your end but you will be well on your way to paying for your next vacation or even just a great start to your savings account! Rumor has it that the average vacation is $4,000 for a family of four. This challenge will focus on saving $1,000 so that you can easily adjust depending on how many members of your family you have and how much you think your actual vacation or stay-cation will cost. Don’t let this discourage you, even if you can’t save to pay for every single person, any money saved is better than none. When you get back from your vacation you can use this same plan, or one of our long term savings plans to go ahead and start stashing away for a debt free trip next year! Don’t get sticker shock over the weekly numbers. If you already have a budget, go over it and look at places where you can cut back the next twelve weeks. This CAN be done. If you don’t have a budget yet, take some time to create one with this goal in mind. Get rid of the small expenses that add up over time! Below are a few suggestions to help you reach your goals. When you do eat out, choose a restaurant that is inexpensive. Trust us, we don’t promote fast food but places like Moe’s, Chipotle or other “build your own” restaurants are surprising affordable and typically have healthy options! Not only will only eating out once per week help your wallet but it will also help your waistline. You will be in complete control of what goes into your food and how much you eat! Try a few of our most popular recipes! One of our favorites is Honey Chipotle Chicken because we can use it many different ways, we eat it plain, mixed with sweet potatoes or quinoa, or tacos! Skip the appetizers and desserts. If you must have dessert, limit it to once a week and buy it from the grocery store. It’s much less expensive to go to the grocery store and buy ice cream (or make your own using frozen banana and peanut butter!) than it is to buy dessert at restaurants. We also have a lot of healthy dessert recipes that you can try (four ingredient peanut butter balls and cookie dough are two of our most popular)! Sell anything that doesn’t bring you joy! Do you have clothes that you just haven’t been able to part with yet? Now is the time to give those up. Try a consignment store or online yard sale group. We were able to make over $1,200 last fall just by selling things around our house that we no longer wanted or needed. It paid for our trip to Jackson Hole, Wyoming! Skip “add-on” charges at all places. “Add-ons” seem small at first but really add up over time. Things like soft drinks, coffees, candy, toys, magazines, etc can easily be eliminated from your spending category. Find hobbies other than shopping. We would love for you to take up exercising and living a healthy lifestyle as one of your hobbies. It’s a joke that “shopping is cardio” but it isn’t and it only makes your wallet smaller and usually your waistline larger! Instead of shopping try cleaning out a closet, working out (try one of our proven workout plans), have friends over, visit family, watch your favorite show, or play with your children, etc. We hope these tips help you reach your goal of vacationing debt free. Keep in mind that you can always adjust to what your budget allows. If this is truly too much for to you save each month, half the amount. If you are able to save more, double it! We can’t wait to hear your success stories! Scott and Whitney are high school sweethearts and have been married since December of 2007. He started eating clean and working out when he realized that truly fit lifestyle requires a combination of both clean eating and focused exercising. She did not jump on board until two years after he started and since then there has been no looking back for either one! They enjoy lifting weights in the gym but do not believe that life should be lived in the gym. They are both avid hikers and have climbed the highest mountain in the lower 48 (Mount Whitney), along with tackling many other trails like Angels Landing in Zion National Park and Half Dome in Yosemite National Park. Along with their strong passion for fitness, finance is a top priority and huge passion as well. They both have backgrounds in finance and hope to inspire as many people as possible be physically AND financially fit. Take the Shopping Fast Challenge – Less IS more! 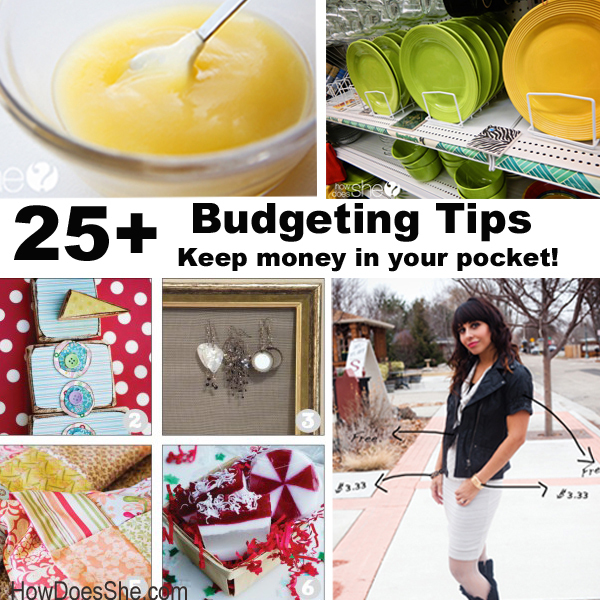 25+ Budgeting Tips – Keep money in your pocket! « How to Save Cash on Disneyland tickets Before Prices Go Up – HURRY! great article! You guys mention travel for an average of 4 is $4000.. if you are interested I am apart of a wholesale travel club. No this is not a travel agency, no contracts or black out dates or anything like that. It’s the same concept as Costco or Sam’s club but for travel. Company has been around for 10 years and is in 29 countries. They offer trips all over the US and worldwide. All trips are wholesale and have guaranteed lowest prices meaning you find trip for less they refund your money and you go for free. Let me know if you are interested in more info and I can send it over.